Of course, I was straight in there, tipping the contents out, rummaging, sorting, squirrelling. I commandeered the dining room table for a good couple of hours. I managed to restrain myself quite well and only came away with a small selection for myself. I’m really pleased with my haul, and can’t wait to upcycle my new old buttons and put to use once more! I came away with entire sets of some buttons. Some of them are probably old enough to be called ‘vintage’. Just look at how beautiful some of them are! I certainly know where to go first whenever I need buttons. 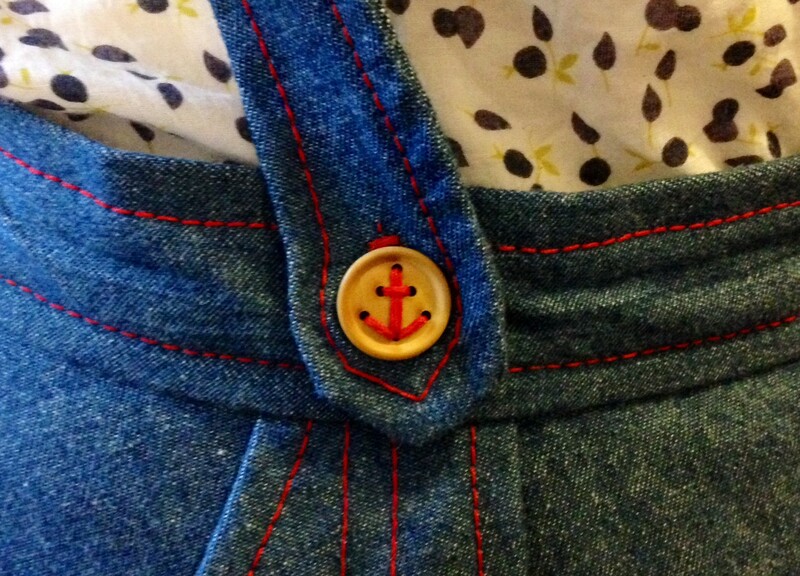 Ooh, and while we’re talking of buttons, did I ever show off the cute anchor buttons on my Madeleine skirt? 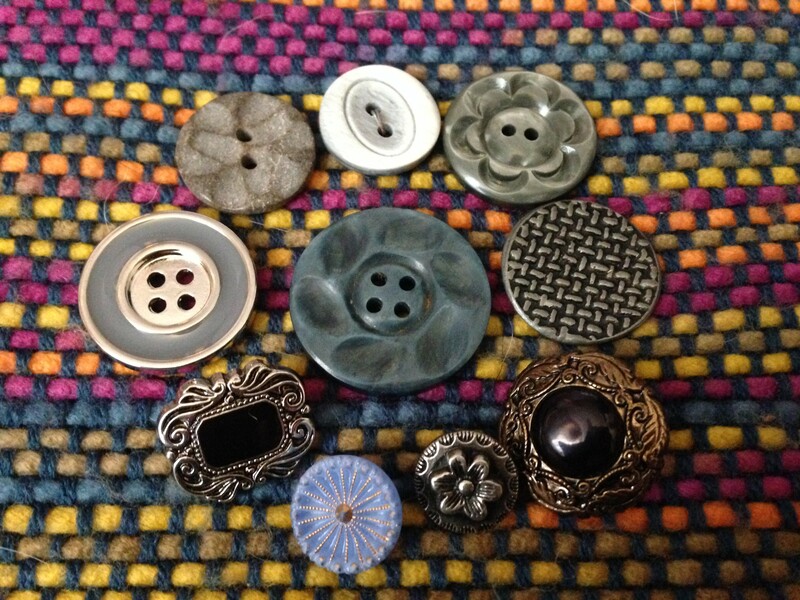 I got them from Textile Garden, who stock every button you could ever dream of. It’s the little details like this that make sewing so fun! Mmmmm…… buttons and haberdashery!! I can happily spend hours Looking at bits and bobs like this!!! !